Many school systems use computerized testing as part of reading incentives and comprehension monitoring. 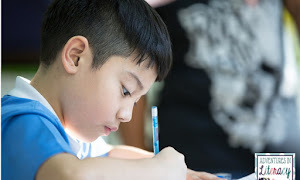 Today, I thought I'd share with you some of the pros and cons of using Accelerated Reader and other computerized testing programs for evaluating the comprehension of independent reading material. Certainly, this has been a topic of debate as many reading researchers look at it's effectiveness and like any program, it has been used positively by some and misused by some. 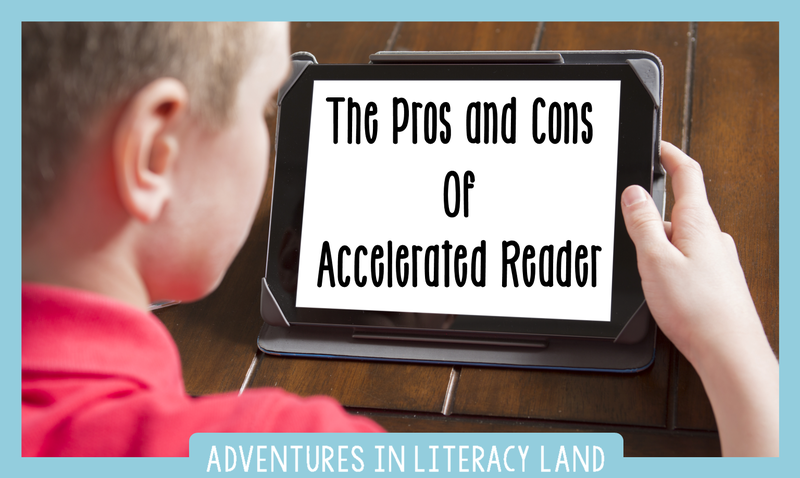 The purpose of this post is NOT to say whether using Accelerated Reader is right or wrong, judge those who use or choose not to use it, or to in any way speak negatively. My goal with this post is to share what I have experienced in the years I've used AR with my students. It is up to each educator to determine what best meets the needs of his/her individual students. As with anything in education, one size does not fit all. So, let's get the discussion going. Setting reading goals keeps students focused. When setting goals with my students, we take time to look at what our students have been reading, how many points were earned in previous quarters, and whether they were hitting the appropriate level to make good decisions on where to set the goal. Through these discussions, students are learning what is best for them to read, so that they are making great choices from my library and from the school library. We are able to pull up the data to see whether there is consistency with their effort too. The tests keep kids accountable. If the intent with the tests is to provide a quick check, then I believe they serve that purpose. Yes, the questions are recall questions and not in line with current standards, but for my kids, it gives me what I need, a quick check on whether or not they got the gist. They are quick to take too, so it was easy for me to let my kids slip on the computer or Ipad to quickly take them and move on to a new book. Student success with the tests can motivate further reading. I make a big deal when I see students do well. We have AR dances and high fives when kids score 80% or better (and the majority of the time, they do.) With my kids, we remain focused on individual progress toward their goals versus focusing on who has the most points, etc. Using a computerized program helps the teacher keep track of independent reading levels and genres. One thing I really like and utilize is the data. I love that I can print my students reading records, share them with parents, and use them to discuss with the kids. I can quickly scan down the list to see if the student is reading a mix of fiction and nonfiction and whether the students prefers a certain series or author. I love that I can make recommendations from the record too. One positive with having the information in the system is that the time needed for keeping these records can be spent on other tasks. Students can hyper-focus on points versus the value of reading. Some students get so focused on how many points a book is worth that they will pass up great literature they'd enjoy because it "isn't worth enough points". That makes me sad because great books can motivate kids to read others like it or others by that author. We've had students decide not to read a book because it isn't on the AR list. I hate that kids limit what they read based upon that. Luckily, our school has the web-based version of AR, so almost all books are available, but in past years, that was an issue. Incentives based upon the points earned can shift the focus to awards versus the rewards you get from reading a great book. This con has nothing at all to do with the program, but is more to do with how it's used. Many schools use AR stores where kids buy things with their points or have treasure boxes for when kids reach certain milestones. Rewards are fine, but we have to pause and think whether these practices are making our students think, "What will I get if I finish this book?" or even worse, "I'll never get to that many points, so I'm just going to give up!" That is so counterproductive to what we want as teachers. The way to improve your skills is with practice, so we want kids to build upon reading momentum to read more and more and more. 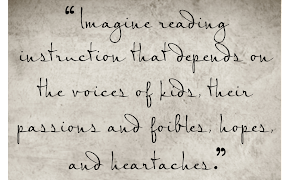 We also want kids to see that the pleasure of reading is in the reading itself versus reading for a reward. Students can misuse the program. I have had to monitor my students' use of the program. I have had students cheat with it by either having other students take tests for them or by looking in the book for answers. We've handled it by deleting the tests where the cheating occurred, and even though it was handled, the concern for me is that the kids felt the need to cheat in the first place. Why? Were they concerned about keeping up with peers, earning the quarterly incentive party, or just not reading the book? Probably all of those reasons, so you have to wonder if AR is creating an environment of competition which is turning some kids off to reading. As you make decisions for this year's reading plan, the main thing is to make a plan that will build a love for reading no matter what. If your school uses AR, no problem. 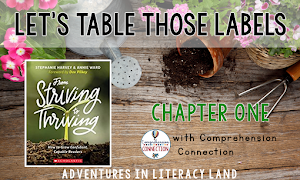 Find ways to build a culture of reading in your classroom and use the program's positive features to help you discuss with your student what to read next. Let your students share what they're reading with their classmates. Build time in your day for independent reading and emphasize great books versus points. Student success builds success, so giving them time will show them that you are a team and that you value time to read. Use goal setting to motivate. Perhaps a change in mindset to number of books read will help keep kids from reading inappropriate books (books that are way below their level or way above their level). It's a great feeling to reach goals early, so try to set the goal at a level that the student will reach without great difficulty. Set up space to highlight great books. Having a book recommendation wall where students can share books they love works well. Book talks are also a great idea. Finally, communicate with your students. See what they're reading. Discuss the books with them, and see what they're planning to read next. Being familiar with books is really important, so that you can give book suggestions too. I actually tell our teachers to let the kids use their books for AR tests. Many times they don't use them, but they know they are there. During state testing, they can use the passages, so this just gets them ready. Though I don't agree with everything AR stands for, I do like that it rewards our students. I would love for them to be intrinsically motivated to read, but this does get many of them on the right track for becoming readers. We have found that our community needs extrinsic motivation to try and do new things. We definitely have to monitor and foster that love for reading no matter what. For some, this is a first step. We had similar results, and I think for some children, rewards do matter. I think once kids ARE readers, the reward is in the book. We've had very few books that are not in the list. I think the company has expanded titles to eliminate the issue of book choice. I encourage my kids to make choices within their zone, but sometimes, they enjoy books with a parent or revisiting old favorites that may be below their zone, and I think that's just great. Thanks for commenting, Andrea. We do not use AR. Our school has moved away from rewarding students with *stuff* and moved toward providing them with experiences. Therefore our school-wide reading program this year will be called "Adventures in Literacy". Students will participate reading experiences throughout the school year to promote a love of reading. Some examples: Flashlight Fridays (lights out, flashlights on, books open! ), T-shirt Tally Day (wear a shirt that can be read, get a signature for each peer's shirt you read), Guess the Mystery Reader (the mystery reader reads over the morning announcements, identity is revealed on afternoon announcements), Storybook Character Day, and so on. I love all the conversation above. We do not use AR. But it doesn't mean that we have not used some sort of reward system. We have also been moving away from that and just working to get kids to love reading for reading. I have found with my own daughter that she will get excited about using technology to read but it wears off quickly because she would just rather have a book in her hands. That is what I always wish for my students too.